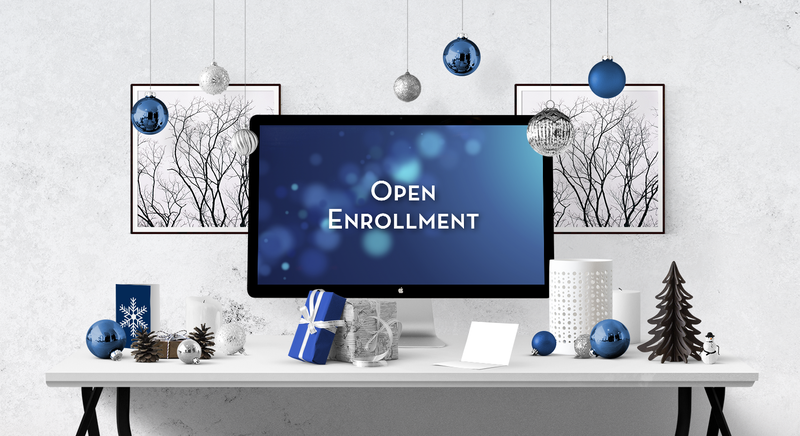 During the holiday rush, it’s important for employers to reserve the time to plan for a successful open enrollment. The better equipped your employees are to manage their own benefits, the fewer resources you must allocate to HR management during the New Year. Here are our top five open enrollment tips for your employees to understand their rights to benefits, select the best benefit package for themselves and their families, and adjust their benefit package as life-changing events occur. a) A purpose statement to add dependents, change plans or waive coverage. b) A list of the benefits provided by the employer, such as mnedical, dental, vision, chiropractic, life and accidental death and dismemberment, etc. with attached summaries of benefits and coverage and a glossary of terms. c)What to bring to open enrollment, including doctors’ names and addresses, marriage certificate and social security number, or children’s birth certificates and social security numbers. d) The open enrollment period and enrollment effective date. e) The date and location of the employer’s open enrollment event. Consider including the following enrollment and annual notices with the plan’s open enrollment materials, including the HIPAA Privacy Notice, Notice of HIPAA Special Enrollment Rights, Annual CHIPRA Notice, WHCRA Notice, MHPA Notice, Medicare Part D Notices, Summary Plan Description (SPD), and a Summary of Material Modification (SMM) or a Summary of Material Reduction in Covered Services/Benefits (SMR). Clarify eligibility requirements or loss of eligibility at open enrollment for each classification of employees, including collective-bargaining vs. non-collective bargaining, salary vs. hourly, distinct business entities, and geographic distinction employee populations that reside in different states. Explain basic insurance principles at open enrollment. For example, educate employees on basic insurance principles such as: What are the differences between PPOs and HMOs? What is the difference between copayments and coinsurance? What is an annual deductible and how can it impact monthly premiums and out-of-pocket expenses? What is a provider network and what happens if you use a doctor who is not in the network? What is a prescription drug formulary and why this may be an important factor in choosing a plan? Offer multiple communication channels for employees to obtain information after open enrollment. Calendar quarterly or semi-annual informational sessions to explain changes in benefit programs. Remind employees of available benefits and verify and update employee and dependent information. Consider multiple communications channels for employees to obtain information such as email templates, video kiosks, webinars, and company bulletin boards or website portals. Follow these tips to effectively equip your employees to manage their own benefits. Then relax, enjoy the holidays and reap the dividends of a smooth and successful open enrollment!